*This event is only for foreign media. A press event will be held for foreign media, so please join! 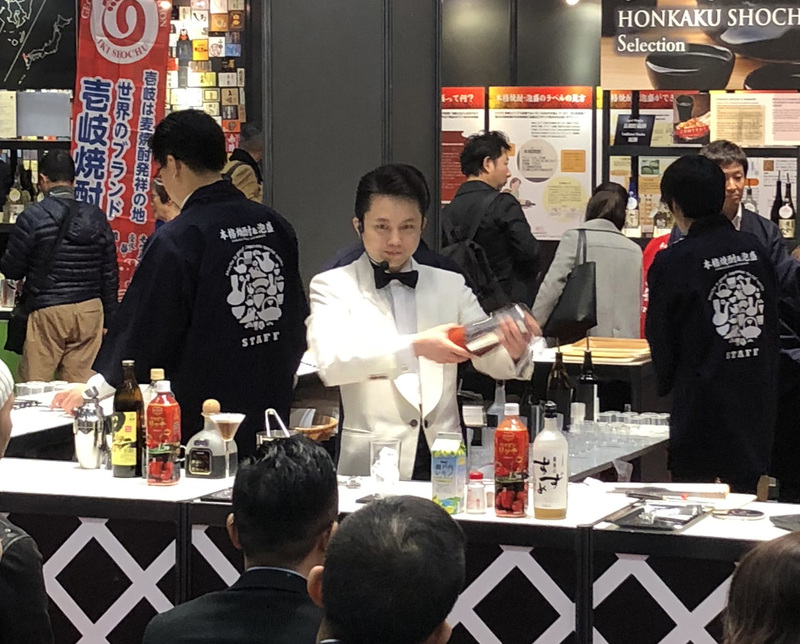 The Japan Sake and Shochu Makers Association will have a booth at FOODEX Japan 2019, an international food and beverage exhibition, which will be held at Makuhari Messe from March 5 to 8, 2019. 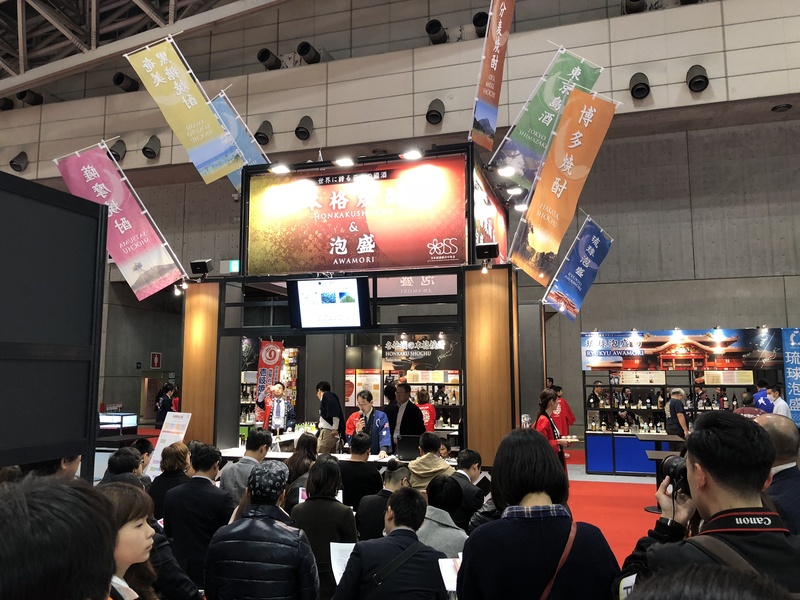 Their booth will exhibit approximately 600 brands of honkaku shochu and awamori, the national liquors of Japan, and promote them to both domestic and international buyers with tastings and various events. A press event will be held for foreign media located in Tokyo, so please join! Although the national liquors of honkaku shochu and awamori are as popular in Japan as sake, they are still relatively unknown overseas. With the TPP and EPA taking effect, the country as a whole is taking this opportunity to expand exports of these liquors. The Japan Sake and Shochu Makers Association is working to increase overseas awareness, such as by holding a competition for hotel bartenders to make cocktails with a honkaku shochu or awamori base, in order to increase the adoption of honkaku shochu and awamori at hotel bars in Japan, where foreign tourists are likely to drink. Globally, spirits are generally drunk at bars after meals instead of being drunk during meals. In Japan, there is a history of warming up honkaku shochu and awamori or mixing it with water to bring it down to an acceptable level of alcohol content, and drinking them along with food. They are high quality liquors taking advantage of the flavors of their base ingredients and koji. With Iki Shochu and Kuma Shochu being recognized as geographical indication (GI) brands *1, Regional Collective Trademark brands *2 such as Hakata Shochu and Oita Mugi Shochu are also being developed, spreading honkaku shochu and awamori made with traditional local techniques through efforts by prefectures, local distilleries, and sake and shochu maker associations. By advertising these valuable brands, the Japan Sake and Shochu Makers Association would like to promote all honkaku shochu produced in Japan as a high quality Japanese brand. While tasting products from makers in different regions (Satsuma, Iki, Miyazaki, etc. ), there will be an explanation of the characteristics of each region. The Japan Sake and Shochu Makers Association is a liquor industry association with members consisting of makers of sake, honkaku shochu, and awamori, national liquors of Japan. 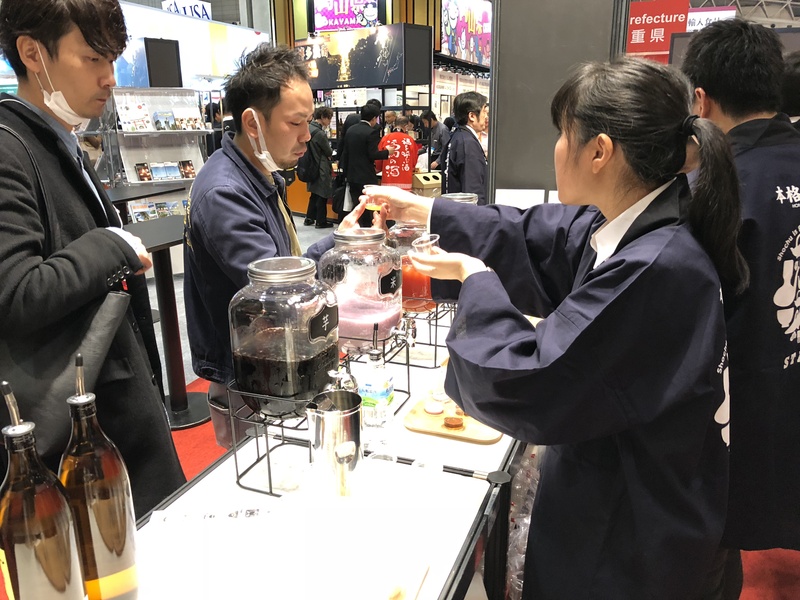 The Association works to increase consumption of these national liquors and promote them both domestically and abroad, and as part of these efforts participates in FOODEX Japan every year. FOODEX Japan is one of the largest food and beverage exhibitions in Asia, and has been held every year since 1976. This will be its 44th year. As the purpose of the event is to make business deals, only buyers in the food industry are permitted to attend. *1 Geographical Indications (GI): A geographical indication is used to indicate a product, such as “Champagne,” has been made within a certain region, meeting certain standards, and shows recognition by the national government. These products are protected as intellectual property between member countries of the WTO. Famous examples include Bordeaux Wine and Scotch Whisky. *2 Regional Collective Trademark System: Products with a strong regional identity using the name of a region can apply to the Japan Patent Office for a Regional Collective Trademark to be recognized by the national government　and be protected within Japan. If you are interested in participating in this press event, please fill out the information below, and send it by email. *More information will be provided upon request.